He was nearly toast after a perilous accident, but now, supermarket Aldi can announce Kevin the Carrot is back, reviving his role as the nations’ favourite Christmas hero with the campaign launching on Friday 9th November at 7pm during ITV News. Viewers have been left in nerve-wracking suspense, guessing whether Kevin survives after crashing his truck in treacherous conditions in the snow. Friday’s 60-second launch advert introduces a new character, Pascal the Parsnip, who is on a mission to cause misery to returning favourites Kevin, his loving wife Katie and their three children: Chantenay, Baby Carrot and Jasper. With fatherly instincts at the root of Kevin’s bravery, he manages to overcome the perils of the Parsnip throughout the fairy tale adventure. Award-winning actor Jim Broadbent returns to narrate the festive adventures of Kevin and his family and viewers may also recognise the soundtrack from Edward Scissorhands. Aldi’s Christmas adverts will run throughout the festive season and will feature Kevin the Carrot re-telling well-loved bedtime fairy tales. Stories will include ‘Kevin the Carrot and Pea-nocchio’, ‘Katie the Carrot and the Fairy Cake Mother’ and ‘Kevin the Carrot and RhubarbStiltskin’. 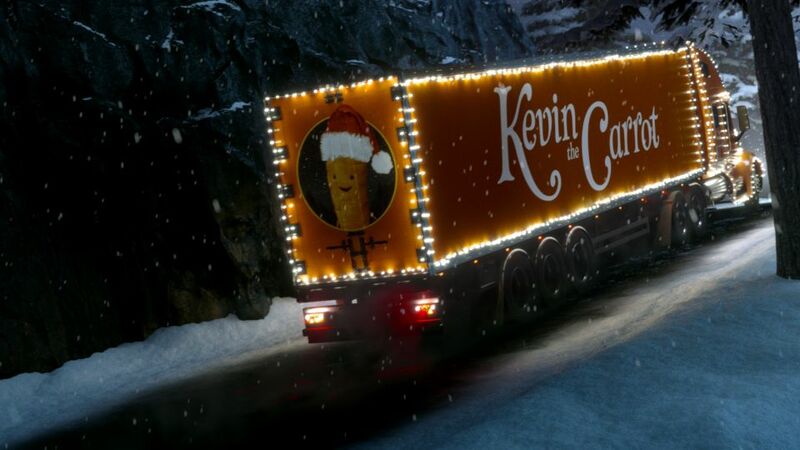 Adam Zavalis, Marketing Director at Aldi UK, said: “Kevin the Carrot is loved by our customers and we felt it wouldn’t be an Aldi Christmas this year without the Carrot clan.